Overview: Lively and agile, self-confident and with sufficient perseverance and stamina. Good natured and alert, however not noisy. 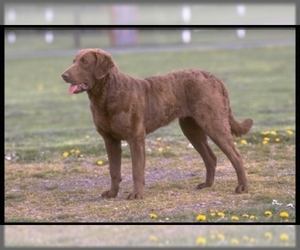 The breed is faithful, easygoing and friendly to his owners and can be a bit reserved with strangers. When not luring ducks into elaborate man-made traps, the dog is expected to alert his family to strangers on the property. Hence he needs to be keen, swift and tough. 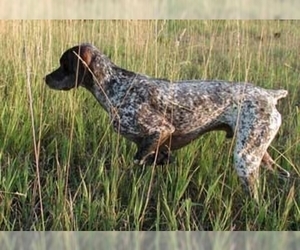 He is a true sporting dog, being attentive and energetic and having a zest for working character. Character: Shoulderheight: 35-40 centimetres. Average long, nice contiguous growth of hair. Colour: White with orange-red. Almond shaped dark brown eyes with a friendly expression. 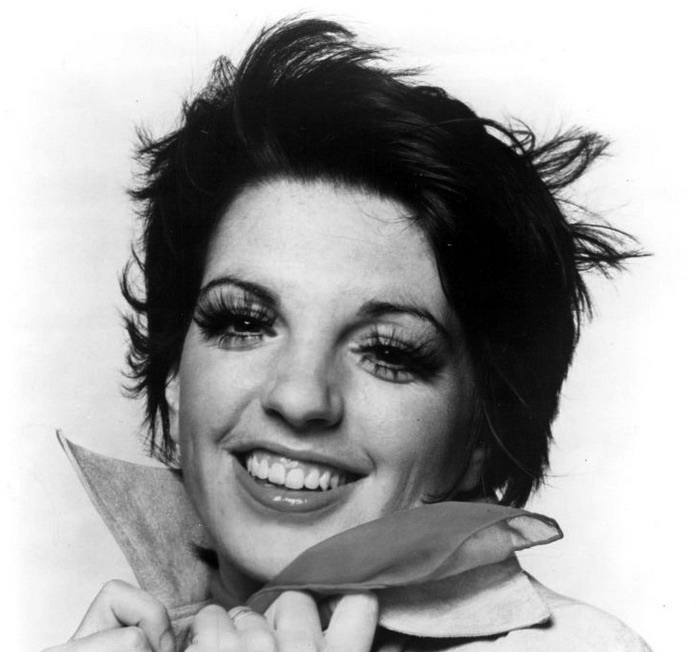 The ears, which are long-haired, are worn against the cheeks; black hair at the bottom of the ear is desirable. Fringed tale with a white plume. Character: Friendly, but not too noisy, very fond of his own environment, friendly, kind-hearted and attentive. 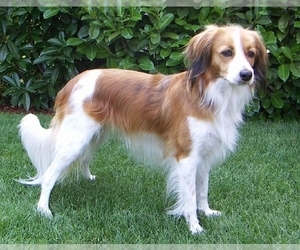 Temperament: A friendly and affectionate dog with his family, the Kooikerhondje is quite reserved with strangers. Once properly introduced, the Kooiker will happily accept guests into their homes. Of course, treats and attention will speed up the acceptance process. They do not like to be around people who yell, scream or are at all boisterous. A calm and quiet household will suit this breed perfectly. The Kooikerhondje is playful and energetic. As athletes, they are up for nearly anything. They love to play fetch, especially if it is played near the water. After all, Kooikers love the water. Families with active kids and a pond or pool will be quite happy with a Kooikerhondje. Care: The Kooiker’s coat is not difficult to keep in good condition. Normally, a weekly brushing is all that’s needed but when the dog is shedding, more frequent brushing is indicated. Bathing should be done seasonally. Training: Relatively easy to train, the Kooikerhondje responds well to gentle and consistent training methods. Excited praise and lots of tasty treats will help keep this pleasant dog interested during the sessions. 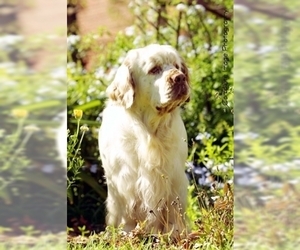 With kindness and regular training sessions, this breed can be trained to do nearly anything! Kooikers do amazingly well in dog sports such as agility courses, flyball and obedience trials. 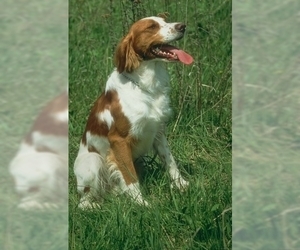 Because of its intelligence and bravery, this breed also excels in search and rescue work. 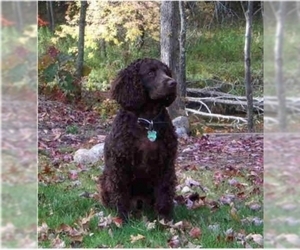 Several owners are working to obtain therapy dog certification for their Kooikers. Activity: Kooiker are great for agility, Dock diving, Conformation, and most anything you train them to, including service dogs and even known to detect peanut and peanut oil for foods. Health Issue: Kooikers are very healthy dog. Life Expectancy: Kooikers usually live between 12 and 14 years.